According to the Travis County Sheriff's Office, the man's son and his partner are accused of conspiring together to hire someone to murder his parents. 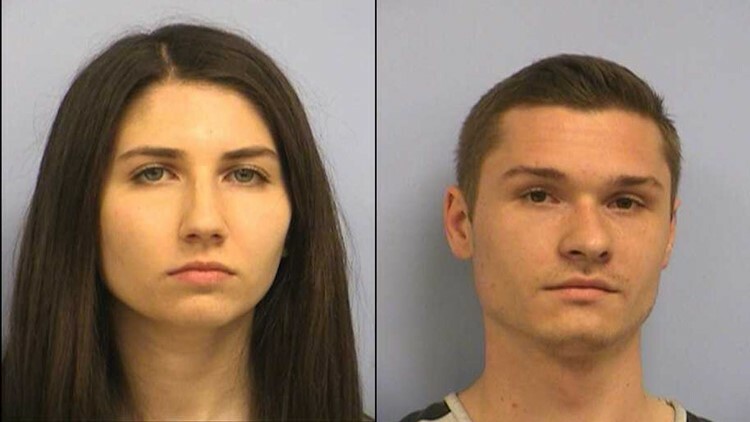 TRAVIS COUNTY, Texas -- New details about the plan a son and his girlfriend allegedly put together to murder his parents, Theodore "Ted" and Corey Shaughnessy, have been revealed in an affidavit obtained by KVUE. 19-year-old Jaclyn Alexa Edison and 19-year-old Nicolas "Nick" Patrick Shaughnessy. Theodore, the owner of Gallerie Jewelers, was found dead at his home on Oliver Drive on March 2. 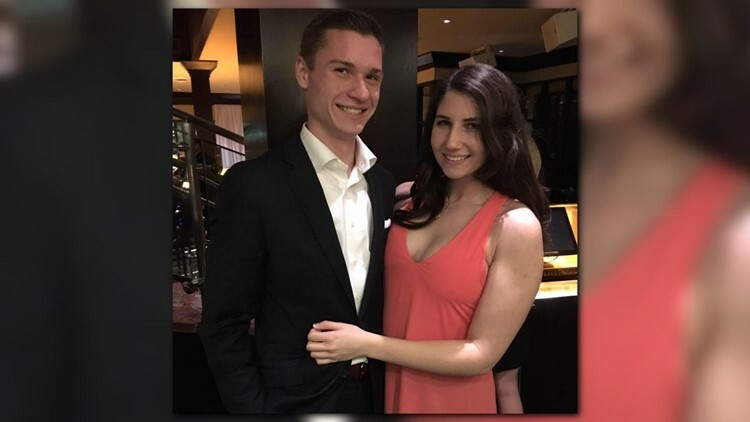 According to the Travis County Sheriff's Office, the couple's 19-year-old son, Nicolas "Nick" Patrick Shaughnessy, and 19-year-old Jaclyn Alexa Edison of College Station are charged with criminal solicitation. According to the Texas A&M University directory, Edison was a student in the spring. Detectives are still looking for the alleged hitman as of Wednesday morning. Officials said Corey Shaughnessy called 9-1-1 at 4:45 a.m. on March 2 to report an intruder had entered her home and fired multiple shots. When police arrived, Theodore was found dead with multiple gunshot wounds. One of the family's Rottweiler dogs was found dead on the ground with a gunshot wound. A KVUE camera caught detectives taking pictures of both Jaclyn and Nick and questioning them hours after the shooting on March 2. Later that same day, a tow truck towed away a blue Audi the couple arrived in. The car was registered to Edison, according to KVUE records. WATCH: A look at the scene of an Austin jewelry store owner's death. Nick Shaughnessy consented to a search of his phone, according to the affidavit. When the officer told him he was going to interview Corey Shaughnessy, Nick Shaughnessy said he wanted to be able to go with her wherever she went, the affidavit said. According to police, there was an open window in the residence. The window screen had been removed and propped up against the outside wall near the window. "There did not appear to be any signs of forced entry to the window," the affidavit said. The officer said there were numerous items of value in the residence but nothing appeared to be disturbed. When police interviewed Corey Shaughnessy, she said the window was in a room that belonged to her son, Nick Shaughnessy. "The house is a very large house" and the son's room is located on the opposite side of the home, the affidavit said. The mother said it would be difficult for a person to make it to her bedroom in the early hours of the morning without knowing the layout of the home. As detectives spoke with Edison, they told her that she would be tested for "Gunshot Residue." She allegedly began sobbing even though she was calm beforehand. An officer spoke with Nick Shaughnessy, who said that he used that window to get in and out of the house frequently. On March 5, detectives spoke with an employee at the housing complex in College Station where Nick Shaughnessy and Edison reside. The employee said that Nick Shaughnessy had contacted her via social media about two weeks prior and told her if she were ever looking to make extra cash to let him know, the affidavit said. When she asked him what he meant, he allegedly said, "illegal activities." He then allegedly said, "anything from strippers to murders," and said he would pay her $20,000 a head with a $15,000 incentive. He then allegedly sent her skeleton emojis. The employee said at this point, she stopped responding. When officers spoke with Nick Shaughnessy's friend, he told officers that he had mentioned faking his own death and getting the insurance money. The friend said Nick Shaughnessy was aware of the life insurance policies for his parents and that he would get over a million dollars upon the death of his parents. According to arresting documents, alarm company records show someone accessed the Shaughnessy's account and deleted surveillance videos from around the time of the crime. Internet records showed the account was accessed from Nick Shaughnessy and Edison's home. On March 5, a search warrant was conducted on Nick Shaughnessy's and Edison's home in College Station. A box of .380 caliber ammunition was found, with six rounds missing from the box. The ammunition matched the caliber and brand of the fired .380 caliber casings found in the area of Theodore Shaughnessy's body. On a computer, police found files downloaded from Nick Shaughnessy's phone. A conversation between he and his girlfriend were found. At some point, Edison texted him, "Do they want 50K or not." He allegedly said, "We will see" and "I'm sure they're casual jobs are around 10." On Nick Shaughnessy's friend's phone, police discovered that Nick Shaughnessy texted him, asking if he wanted to make $20,000. Nick Shaughnessy "further stated it would be 50k total, with 20 for each and 10 extra because 50, 'is a nice whole number,'" the affidavit said. On Aug. 2, 2017, Nick Shaughnessy allegedly told his friend, "Just walk in shoot a family steal all their (expletive)" and "No mask needed cuz (sic) they'll be dead." According to the affidavit, these comments appeared to be references to what happened on March 2. On May 29, police said they met with a "confidential informant," who said Nick Shaughnessy had approached the informant asking to kill his parents in exchange for a monetary payment. KVUE visited Gallerie Jewelers Wednesday, May 30. A sign on the door said the store is temporarily closed. No opening date was posted. Gallerie Jewelers has not returned KVUE's messages. On April 27, someone who manages Gallerie Jewelers' Facebook page shared that the store was going to return to normal hours on May 1 and that Ted's son, Nick Shaughnessy, was going to "carry on his legacy." The sheriff's office said detectives are following a series of new leads in the case.